This Classic Autobot looks even better in this Metallic look! 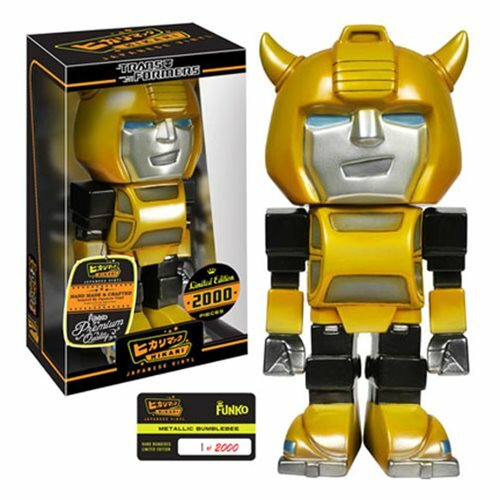 This limited edition Transformers Bumblebee Metallic Hikari Sofubi Vinyl Figure is a limited edition of only 2,000 pieces and is individually numbered. Bumblebee is given the Hikari styling, as he stands 8-inches tall in a shiny paint deco of his classic yellow and black ook in soft vinyl format! Bumblebee comes in a stylish and displayable window box, for all your Transformer-collecting friends to drool over! Ages 14 and up.